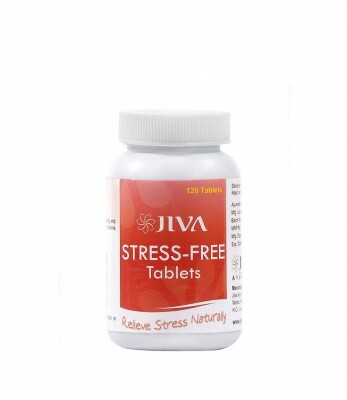 The Jiva stress free tablet does just what the name suggests and aims at relieving symptoms of anxiety and stress. It is specially formulated to overcome the ill effects of stress while providing the physical and mental health. This formulation of special herbs enables the body to reserve and sustain vital energy throughout the day while promoting sound, restful sleep at night. All the herbs are collected, finely sorted and then ground into powder, which is then made into small tablets. We have chosen quality ingredients from organic environs for you and sorted them to ensure unmatched efficiency. We employ processes that are primed to give you a balanced product without contamination or loss of potency.